Pool water chemistry is a science that must be performed properly to ensure the health and safety of a swimming pool or spa facility. Improper pool chemistry can lead to unsafe conditions and could cause damage to an aquatic facility’s operating system. 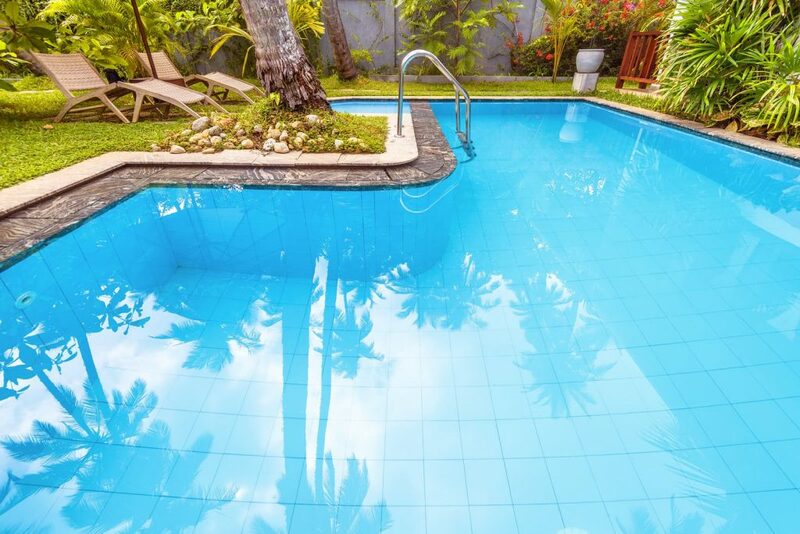 Pool chemistry errors include the use of chemical reagents that are not full strength, inaccurate addition of reagents, inaccurate water sample volume, poor light conditions, and inaccurate color interpretation. 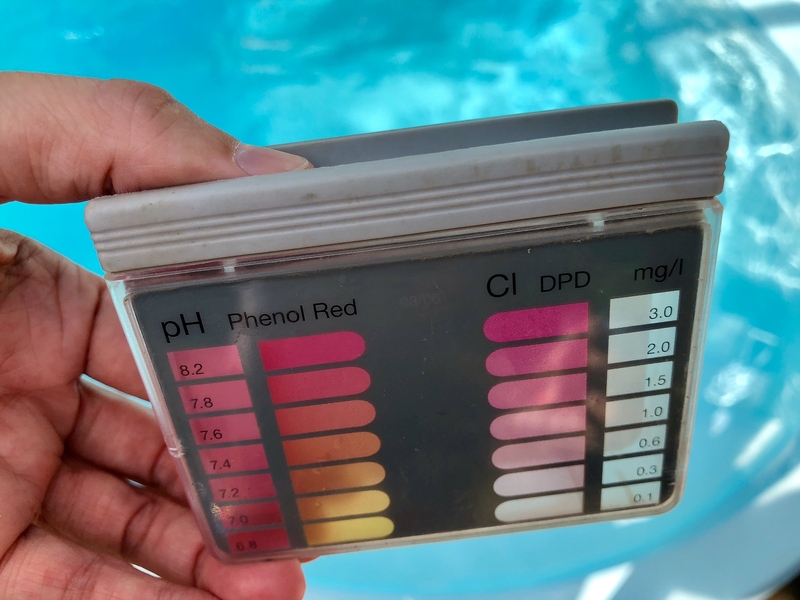 In order to avoid these errors, a Certified Pool Operator or CPO® must take proper care of test kits and follow their instructions closely. In order for a pool to be chemically balanced, it must have a properly functioning test kit. These test kits must be protected from heat, light, and exposure to chemical fumes and air-borne debris. Consider the following guidelines to properly treat water test kits. Replace and tighten all sealing caps after use – oxygen or other external contaminants can cause complications. Store test kits out of direct sunlight and keep them in an area with temperatures between 36 and 85 degrees Fahrenheit. If reagents are frozen, allow them to thaw at room temperature before use. Also, check if the dropper tip cracked during the freezing/thawing and replace it if needed. Take expiration dates seriously and only use reagents prior to their expiration. Keep in mind that reagents in brown bottles are particularly sensitive to poor storage conditions. If reagents show any change in color or suspended material becomes visible within it, dispose of them and replace them immediately. Never replace reagents from other test kits or manufacturers. They should always be from the same kit and manufacturer. After use, wash all test kits, vials, caps, cells, and blocks with fresh water. Do not touch the sample or reagents with your finger as our own pH can alter test readings. When collecting water for sampling, make sure that the water is representative of the entire pool or spa. All pool chemistry samples must be taken at least 18 inches below the water surface and in areas away from return inlets. Take a clean plastic bottle, bottom side up, and push it into the water at the required depth. Next, turn the bottle upside down to collect water and release the air. Remove the bottle from the water, making sure there is no air at the top and cap of the bottle. Also – never use glass or metallic objects as sample collectors. Finally, take the sample away from the pool for testing. There are four main things to consider while performing a water chemistry test – volume, light, drop size, and mixing. Volume – For test results to be accurate, a sample of water must be taken with the exact volume indicated on the test kit’s instructions. Water has a surface tension that causes water to curve down in the surface center of a test ‘cell’. The low point of this curve is called the meniscus. The meniscus must be on the fill-to line of a testing cell in order for the test to have the proper volume. Light – When using a color block comparator, always hold it at eye-level to properly match the sample color to the standard. Hold the comparator to the northern horizon and never perform the tests under fluorescent lighting. This ensures that the color is controlled and not augmented by the light. Drop Size – To ensure a consistent reagent drop size, hold the dropper bottle straight up and down – not on an angle. Wipe around the dropper tip with a clean, damp cloth or paper towel before using it to prevent static electricity from creating inconsistent drop sizes. Mixing – You can only detect proper endpoints during testing if the reagents and the sample water are mixed. Mix the sample after each drop of titrant is added. The endpoint must be permanent and not fade back to its previous color. Make sure to add titrant until no color change is observed and do not count the last drop in your measurements. The best way to learn about pool chemistry is through CPO® certification. Pool Operation Management offers award-winning CPO® certification courses to give you the most comprehensive education in everything involved with pool operation. Over a two-day course or during online training, our experienced professionals will not only help you get certified, but you will acquire real-world knowledge to aid you in your career of pool operation. To start your CPO® certification courses or use our many services, contact Pool Operation Management today.